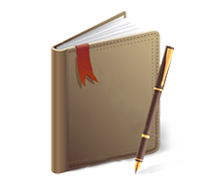 An online diary is a personal diary or journal that is published on the World Wide Web on a personal website or a diary-hosting website. Design is subjective, all designers get that. Beauty is in the eye of the beholder and so on… However, that doesn’t give others the right to assume they know best and not listen to the professional in front of them. Before I go much further I am in no way advocating a designer knows best policy where clients are hit over the head. What it should be is a relationship of mutual respect. Just like with a Dr. and requiring sometimes a second opinion, the same can happen with designers all designers need a little voice be it friend, community or co-worker. Egos should be left outside of any design because they never make it better. All that said there is a common and sometimes it seems growing perception that as a client you have the right to not only disrespect but dictate the design so far as the designer just becomes a pixel pusher literally. This in my eyes only harms both the design and designer. There is an increase in the wave of ‘anyone can do design’ banners being brandished over the heads of designers. Anyone can yes use Photoshop or learn CSS. Being a designer is not just those 2 things. Lets take a step back and look at why you went to a designer in the first place. Was it just to have someone take a literal translation of the doodle you had in your brain? Was it just because you don’t know Photoshop? Or was it because you wanted a professional to work with you to get the best result. If it was the later hire a designer … for the other two go look elsewhere please. The key to all this is ye olde Sesame Street co-operation. Like it or not it’s a designer and client relationship. It comes with all the ups and downs of any human relationship. Without co-operation and respect every relationship dies and this is just the same. Sometimes like lost loves we also have to walk away from those relationships. Sometimes it’s that good we’re walking on clouds whilst cherubs sing and swallows tweet. So the question is would you operate on yourself or let the Doctor do their thing? Whilst a design is hardly life or death you are still entering into a relationship with a professional. I’m betting if you enter with the respect frame of mind your going to see a far better outcome for your design and maybe even a great long term relationship with a designer. Nikhil Mishra: Start from the beginning learn from mistakes and face off for the goals they missed!!!! the future is now!! not tomorrow or another day.... time is gold !! grab the opportunity and dream again as high as you can !!! Rani Devi :Nobody can Drive an Educated person. Silky Vermani:Only the best is good enough! Mohit Sehdev: Still i rise, still i fight, still i might crak a smile, but keep my eye on the prize see my haters till 'am i said "HI"